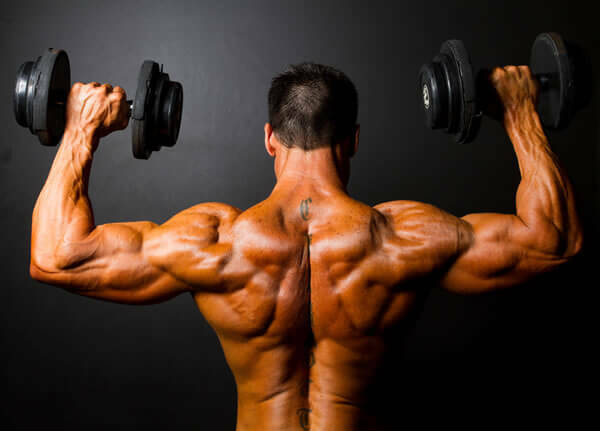 When it comes to bodybuilding workouts, many of us think it is about building good biceps, flattering abs, large shoulder muscles, and a great chest size. However, you need to focus on your leg exercise as well since your entire body’s strength gets a substantial support from your lower body. To improve speed, agility, and performance, you need to have a strong lower body. Leg and glute workouts help to strengthen your lower body and shape up your leg muscles. So to gain incredible strength and muscles in the lower body, here are some best leg workouts that you should regularly do. When done properly, it is helpful for your quads, hamstrings, and glutes. Make sure not to push yourself too much, or it may cause injury. Hold the bar as far as you can in a comfortable way balancing it correctly. Point your toes outwards and start the sit ups by breathing in a synchronized manner. Push your knees out during descend and then come up vertically. This leg workout leg workout can be done without weights as well if you wish to shun the barbell. Dumbbell squat is another form of squats workouts to tone the legs and a good option for those who have back problems and cannot perform heavy squats with a barbell. You need to hold the dumbbells at the shoulder level, parting your feet to the shoulder width with toes slightly turned out. Descend to the lowest level without losing the arch in your back. 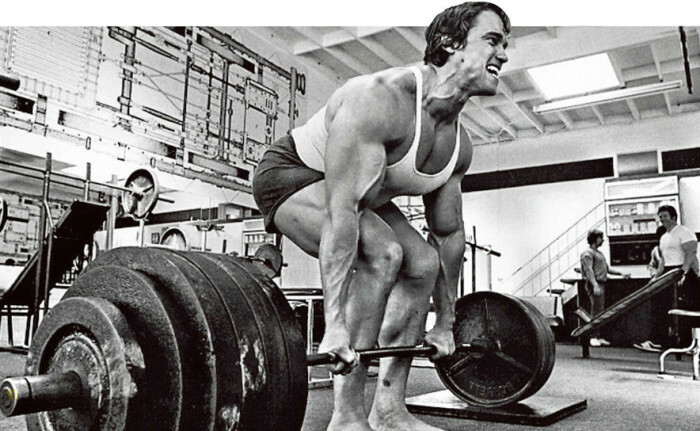 While in a gym you may do deadlifts on leg day, as it will not only develop your leg and thigh muscles but will also assist in adding mass to your shoulders and forearms. Add weight to the barbell till the limit you can lift. 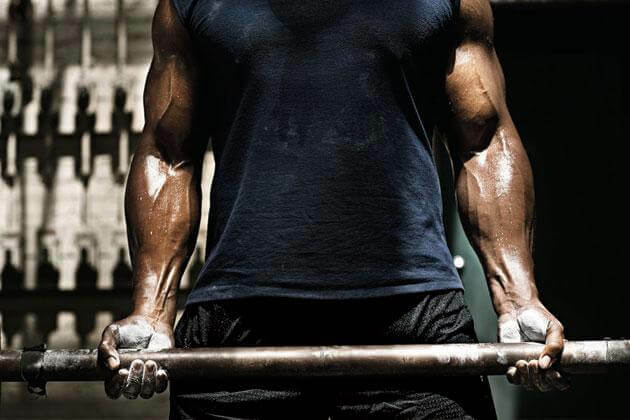 Hold the bar in a reverse grip, bending your knees between your arms. Pull it up and try to keep looking straight until the time you can. Begin this with 1-2 sets and then increase the reps once you get the hang of it. 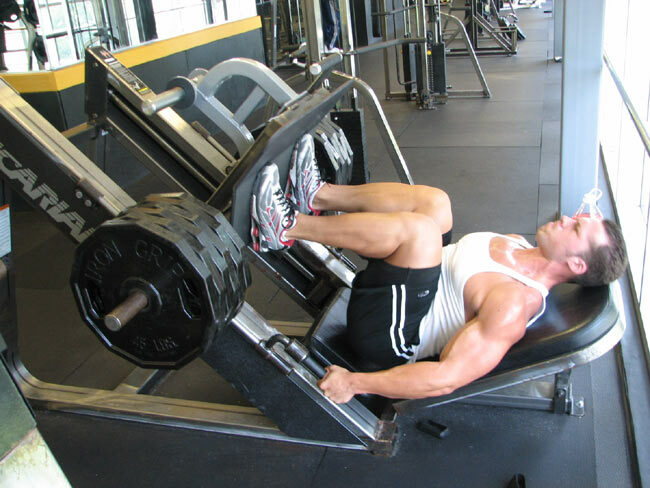 Leg press performed with the machine is one of the primary exercises that you can do for building huge leg muscles. 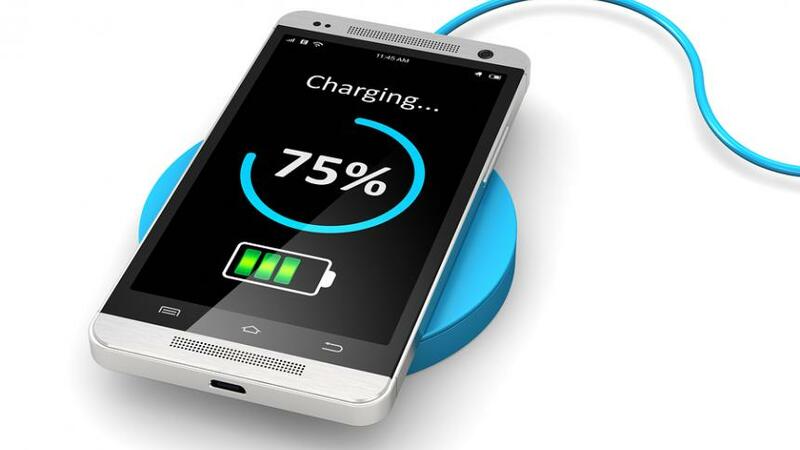 It primarily works on the quads and secondly the hamstrings as well as the glutes. On a leg press machine, you need to adjust your seat so that your hips and knees remain in line. Like the squat, the legs work in an up and down manner, pushing the weight to the maximum limit, preferably in a 90° angle upwards. Be sure not to put weight beyond tolerance, or it might result in injury. This type of leg exercise works on your quads, hamstrings, and glutes together. If you have some exercise equipment at your house, then you can do this leg workout at home with dumbbells quite easily. 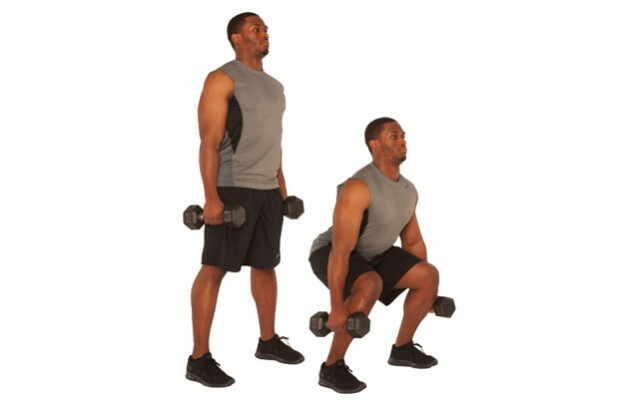 Carry the dumbbells and keep walking in an “S” shaped manner, bending your knees. Do not slam your knee into the ground or else it might cause an injury. You can do this strength building leg workout in some reps in still position or by lunging at a designated distance fixed by you. In the list of squats, this exercise is another type of lower body strength training in which you don’t need to punish your back as the weight of the barbell is mainly put on the chest and shoulders. It is more effective on the quads than the regular squats. 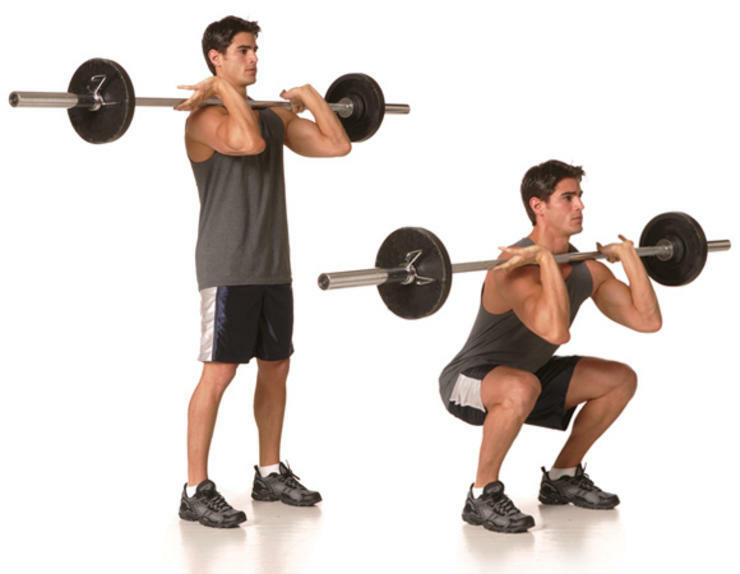 It is somewhat a combination of lunge and squat which can be included in the lower body training program. All you need is a bench and two dumbbells. Hold the dumbbells in each hand, placing your left foot on the bench behind you. Then lunge down till your knee touches the ground and your thigh is parallel to the floor. It can be done by placing a block or some sort of raised platform in front of you. The next thing you have to do is hold a barbell on the back of your shoulders as you do in squats. Then place your toes on the edge of the block in a manner, so the calves get stretched maintaining your balance. Now start raising your heels up and down, continuing this rep for a while or in different sets. These two machine-based intense leg workouts can help in toning your leg muscles. 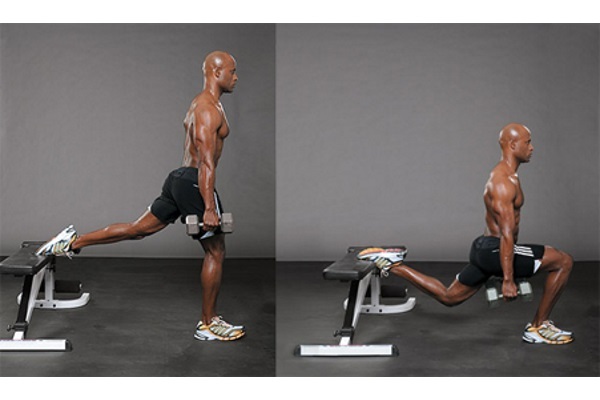 Machine leg extension targets your quadriceps and helps in building your upper thighs and calves as well. Your knee should be in line with the with the movement point of the machine. The pad must be placed on the front of your legs above the ankle. Adjust the seating position and grip the handle both sides. Change the weight before doing the reps.
Machine curls, on the other hand, work on the upper hamstrings as well as the glutes. It can be performed by using one leg or both depending on the person’s flexibility. Individuals with a back problem should be careful while doing this exercise. 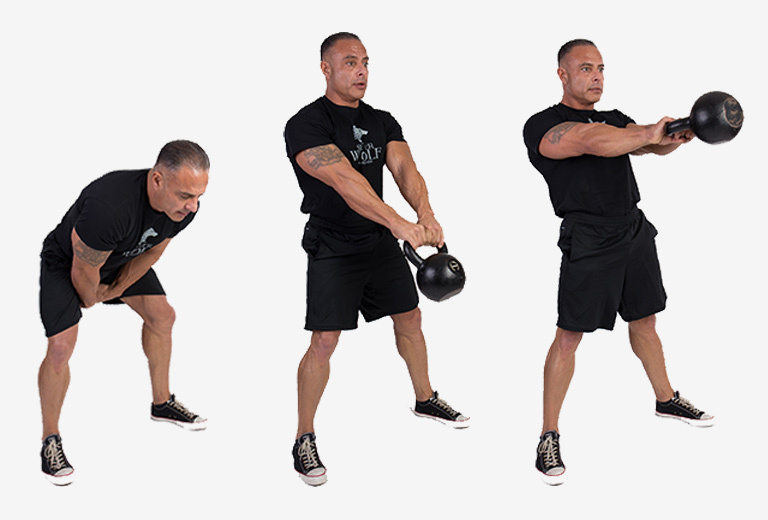 Grip the kettlebell with both of your hands between your legs. Stand in a quarter squat position by keeping your arms straight and then swing the bell upwards forcefully till your height of your chin. While doing this squeeze your glute at the top movement and keep repeating this workout for the number of reps you desire. So in case you are looking for answers on how to practice perfect legs exercise that will strengthen lower body, these points will be incredibly helpful. Hence, the above exercise list pattern must be followed for complete leg workout routine.